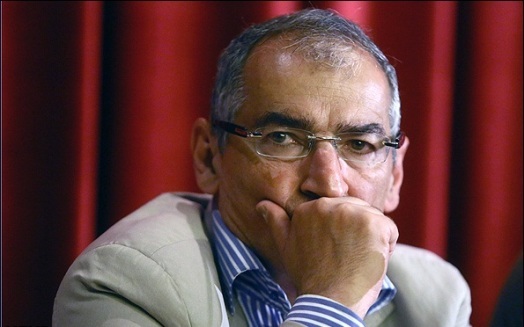 Sadegh Zibakalam, a political analyst, says President Rouhani has made good on part of his campaign-trail promises, but he is not to blame for the unfulfilled parts since he is not the only decision maker. What President Rouhani promised to do on the campaign trail in 2013 can be studied from three angles. First, his promise to settle Iran’s nuclear dispute [with the West] and to cut the Gordian knot which had squeezed the country’s economy and foreign relations for more than a decade. Second is what Rouhani repeatedly underlined in the pre-election televised debates which concentrated on economic issues: efforts to improve the country’s economic conditions and ameliorate its business environment. What he said implicitly about ending the house arrest [of presidential candidates who challenged the results of the 2009 election], [releasing] political prisoners and opening up the political atmosphere are the third aspect of his election promises. I think some of these pledges have been partially fulfilled. The government is trying to materialize some, but some others have yet to come true. It is not an easy job to make good on the promises that fall into the third category, because the president is not the only decision maker on those issues. To remove the house arrest, release political prisoners and allow political openness in the country all need extensive consultations and formation of [national] consensus between all government branches, institutions and decision-making bodies. That’s why such promises can’t be readily kept. The fact that Rouhani underscores that he has honored his promises shows that the president has not forgotten what he vowed and that he is still holding consultations to that end. Mr. Rouhani may not have done all he said he would on June 14, 2013, but he has lived up to at least one of them, one about [changing the security] atmosphere in universities. The change in universities is evident. The fact of the matter is that in the four years that followed the 2009 presidential election, universities were like a ghost town and the doors of multiple student bodies remained padlocked. In those years, a large number of student activists were summoned to on-campus disciplinary committees or to off-campus institutes. Active students were singled out as “starred students” and thus banned from continuing their studies. On the whole, a highly charged security atmosphere prevailed in universities where students preferred to keep a low profile in order not to run into any problem. In that four-year period, only organizations which were acting in line with principlists were allowed to get engaged in [political] activities in universities. None were independent and were linked to currents outside the universities. In all fairness, we can say that since late September 2013 when universities reopened after the inauguration of President Rouhani, a vibrant atmosphere has returned to universities where independent student organizations such as the Islamic Associations of Students have been reactivated and lectures and debates are held. The presence of Mohammad Farhadi, [who has recently secured parliament’s nod to take over as the minister of science, research and technology], will bring about no change to university atmosphere [in place since the election of President Rouhani]. Mr. Farhadi seems unlikely to dance to the tune of the authoritarians and change the status quo. Even if that is not the case, neither the minister nor anybody else can reverse the current trend. The university atmosphere has changed thanks to the 2013 presidential elections. It is a psychological change; guidelines and directives can do nothing to change it, because it has reached a point of no return.